Jan Van Mieghem | My personal blog sharing thoughts and experiences. Sometime in high school in 1979 or 1980, I bought my beloved HP41CV. The first programmable calculator with alphanumeric display and, of course, reverse Polish notation. It’s got Wikipedia entries and has become a collection item, fetching multiple $100s on eBay. Capitalism and free market economies have one great virtue: the invisible hand that sends information (through prices) to those activities and their actors that are valued most. The latter can be quantified by the aggregated willingness to pay (WTP) of people, which is the upper ceiling on the price they are willing to—and can—pay for those activities. As such the prices in free markets direct resources in a decentralized manner. And economics 101 tells us that under perfect competition the resulting market price leads to an efficient equilibrium between supply and demand. Simple, yet remarkable. I admire, and subscribe to, the benefits of free market efficiency. But even an “efficiency (wo)man” hopefully realizes that life is not only about efficiency. Life is to be lived… decently so that we can all go to bed at night feeling that we did our best today and would not mind seeing our activities communicated to the public. To me, this means that as a society we should also pursue the decency to provide a reasonable level of health care for all. Therefore, capitalism is to be augmented with some restraints and regulation. Paradoxically, perfect markets require protection against the human tendency to form “coalitions.” The perennial question is: how much? That balance will always move over time, reflecting the relative power of the various constituents that (can and are willing to) vote. Goodnotes shines with the Pencil, saves handwriting in PDF, and hence stores handwriting as vectorized images that looks sharp at whatever magnification. It is intuitive and even allows surprisingly accurate searching your handwritten notes. The only thing I miss in Goodnotes is a good visual structure or overview of its “notes”. Yes there is a three (even four)-level hierarchy: you can make “Categories” (say Courses), subset categories (for lack of better words, say Course-OPNS430), which then hold “Notebooks” (say Class 1 in OPNS430). It works, I guess, but from an organizational perspective, I prefer OneNote (Microsoft) which I described here. OneNote also syncs flawlessly with your Mac, iPhone and PC. You can use QuickTime as described above in the classroom: If your Mac is connected to a projector, you can maximize the QuickTime window and simply project that to show whatever is on your iPadPro. [I know you can connect your iPad directly to a projector with the right dongle, but now 1) you don’t need the dongle and 2) you can stay within the “safety” of projecting from Mac and only swap a window when needed to show iPad]. The above allows you to use and “project” any app, including Powerpoint, GoodNotes, PDF Expert. Of course, you can do it without the Mac by using a dongle. So if you present from PDF, 2screens may be your baby. While 2screens can also show ppt, “animation and transition effects in Keynote/PowerPoint are NOT supported.” That means that I can’t use 2screens (as my presentations are in PowerPoint and often use animation and transitions. The iPad Microsoft Powerpoint app works well as long as you stay tethered and near your iPad while teaching. I like to be mobile while teaching so the only thing I am missing to teach solely using the iPadPro is a clicker. The mobile concern will be resolved in new classrooms that support Apple Airplay so you can walk around with iPad in hand. Another option (I was told but have not tried yet) is to use http://www.mirroring360.com/ which allows you to wirelessly mirror your iPad on your Mac (or PC), which then can be used for skype or be attached to a projector. No cable connection needed so you can walk around with iPad in hand. A short interruption of my dormant blog state to share a new learning. Recently I looked into changing my life insurance policy and underwent a physical exam as part of the qualification. A professional came to our house and administered the typical various common tests, including an EKG. Cardiac Studies – EKG with significant sinus bradycardia. I started feeling better… Sinus Bradycardia can be a sign of fitness and being well trained. My resting heart rate is about 42 (and it’s a great marker of fatigue: it was 49 on Monday after two intense weekend rides–each with TSS of 200+). I found out early last week and that is when we went to bat for you and had the chief medical director review the case and issue you the preferred policy at the lowest rate possible – so everything is taken care of. You can recycle that letter! It’s another cold winter in Chicago. Dreaming of my trip to the Dolomites end of June is all I can do. Given that it won’t be a race, time to inflate a flat really isn’t a factor so I’m thinking of carrying a pump instead of cartridges. Of course, the overriding decision factor is weight. 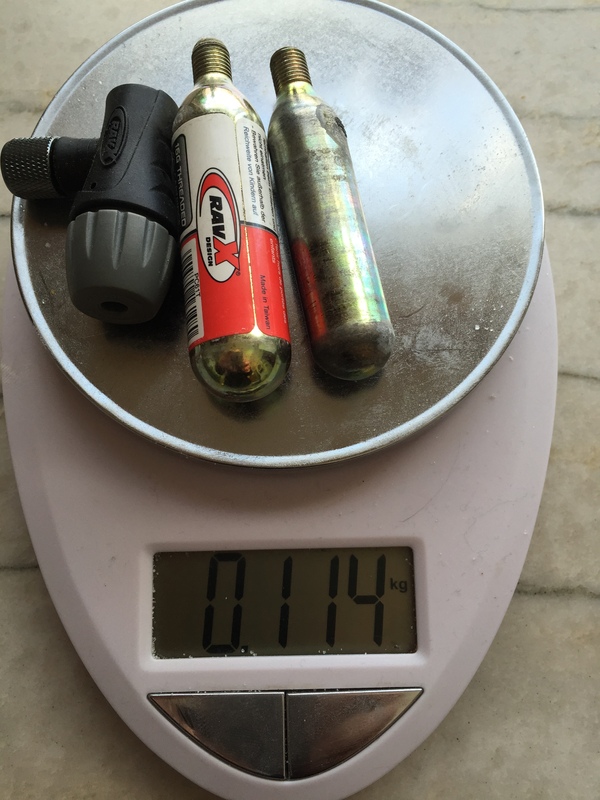 So I’ve put my new Lezyne test up to the scientific test and it wins by 21g. Yahoo! Added bonus: the pump can fly with me (on the airplane that is) while cartridges cannot. 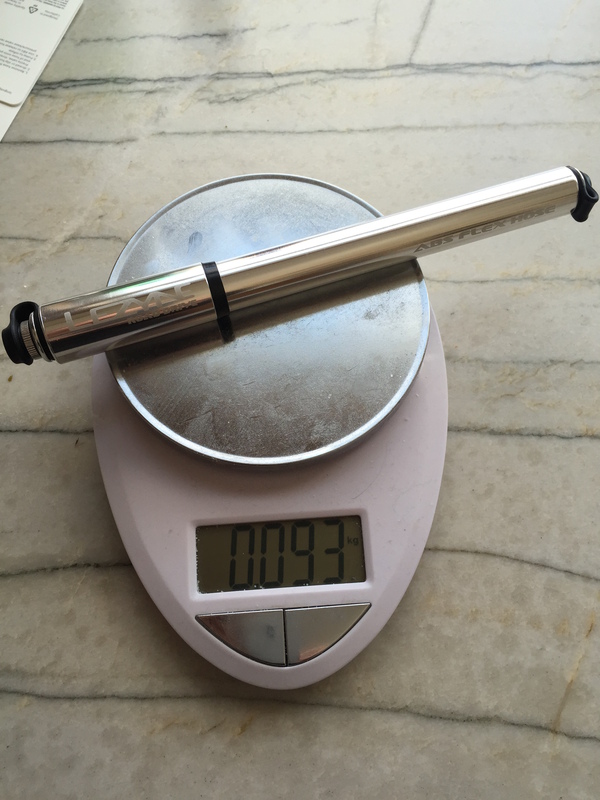 My new pretty Lezyne pump is exactly 93g as advertised! During two big rides this season my Garmin 510 ran out of memory and I lost the data. Bummer! The weird thing is that I always delete my activities so there were no old rides on the Garmin so how could it have ran out of memory? Where did the 10 or 11MB go? So I did and, indeed, the Garmin 510 then showed again 10+ MB free. Hopefully this will solve the problem, but who would have figured that you need to empty the laptop trash to clear Garmin memory?